Improved support for large numbers, updated for iOS 7 and iPhone 5, and a Calculator in-app purchase. 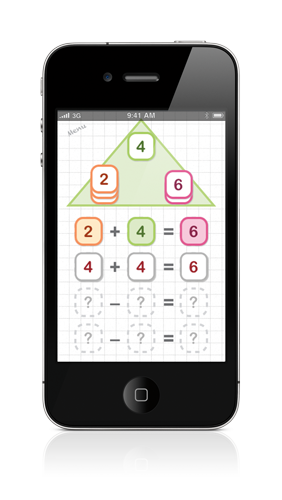 Fun way of learning the addition and subtraction facts, along with facts families and number bonds on your iPhone or iPad. This website is moving to a new location called cadigatt.com. A small update to Roman Numerals that solve a couple of UI and bug fixes. A completely new version of Learn Time has been published with new graphics and in particular a clearer way of asking questions and giving feedback to the player. Cloudpebbles write educational and useful software for the iPhone and iPad, so if you need to learn Roman Numerals, the times tables, or perhaps even just hiragana and katakana, have a look around. cloudpebbles © 2014. All Rights Reserved.